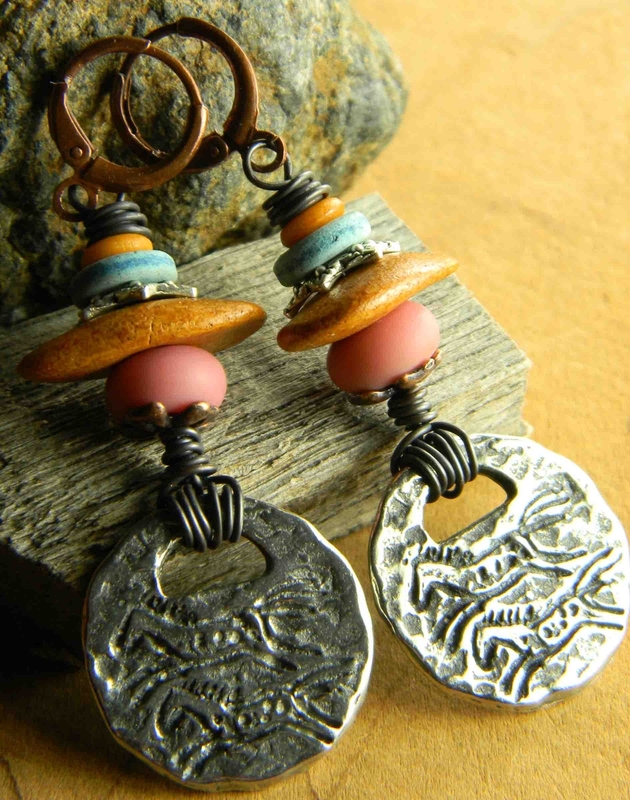 Southwestern style in jewelry making is open to a wide range of interpretation, but what tends to be common among them is the use of mostly silver and copper metals and a desert color palette that includes turquoise. 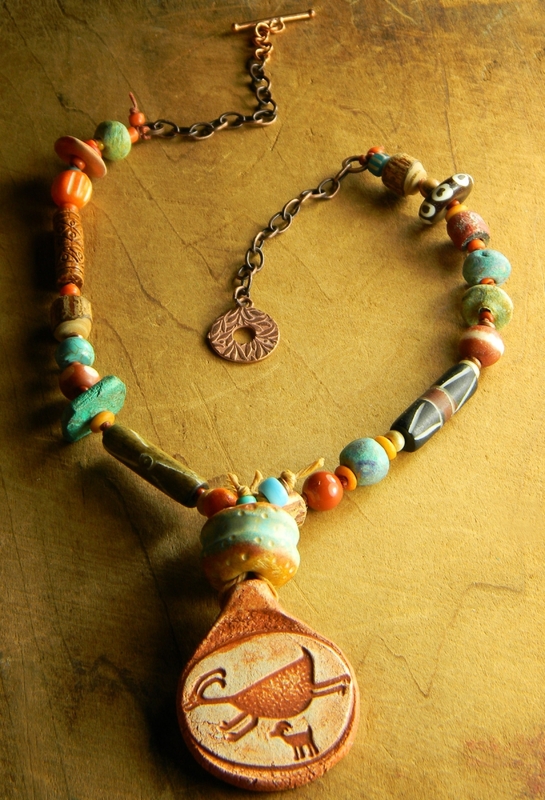 Animals and other totems are also a common focal point in southwest jewelry. Totems sometimes represent lineage of families, but they also symbolic for their power to send messages from the spirit world to guide individuals or tribes in their daily lives. The Spanish influence on the southwestern United States still remains today. The missions and churches played a major role in the development of states, from Texas to California, and were constructed using the Mexican style of architecture with adobe walls and tile roofs. The color of the adobe, called terracotta, is repeated often in southwest style fashion and jewelry, and is a striking combination with turquoise. 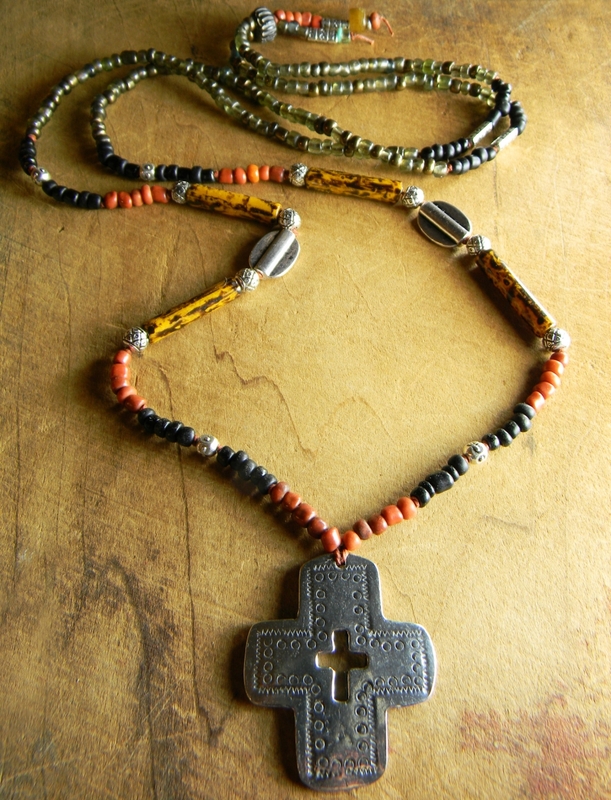 The necklace above is designed around a cross pendant named for the Santa Fe region. The many remaining pueblos in that area of New Mexico still have artists producing pottery for sale to the public that is made in much the same way as it was hundreds of years ago. This is just a mini sampling of boho southwestern jewelry designs for sale currently in my shop. It is a style that I greatly admire, so I plan to continue finding new ways to blend the old with the new in future designs.